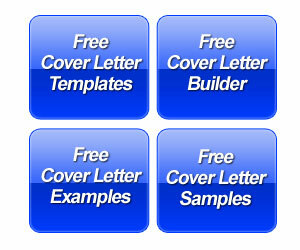 This post includes a Customer Cover Letter Example for professional with job experience as Customer Relations Director. Any high level customer service professional can use this as a reference or template. This cover letter was written directly to the hiring manager. In this case, the job seeker is looking for upcoming opportunities and not responding to a job ad. The writer explains how they were made aware of news of a contract the company recently obtained. They use this news as a good lead in to open the letter and let the reader know that they are interested in any new opportunities. Not only does this make for a much more interesting introduction, it also lets the employer know that the writer has knowledge of the company Employers generally take candidates more seriously when they know about the company. The writer goes on to outline their skills in organization, creativity and relationship development. They include an anecdote to demonstrate their style for handling staff and networking with departments. The job seeker goes on to explain their marketing skills and success in establishing clients. 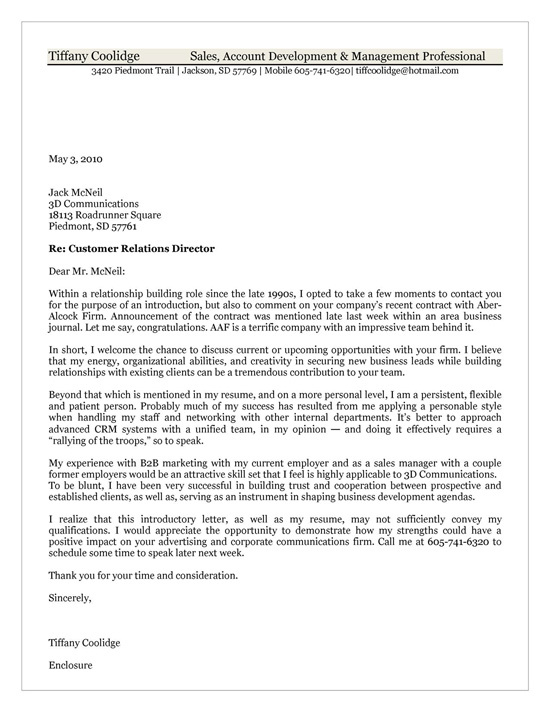 Overall this letter is written with a much more personable approach with references to individual experiences. 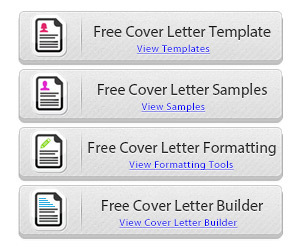 It is not the typical canned cover letter and it grabs the readers attention. Our customer service cover letter provides a few tips about handling many clients in a rapid and efficient manner. After all, customers are usually calling because they have a problem, so if you have knack for quickly resolving issues, then you need to present that ability in the cover letter. Just as important, the professionals that work with customers have to be courteous and nice at all times. You can’t ever lose your temper. It’s your job and you can’t take the customers problems home with you. You can’t let their issues with the company ruin your personality. Employers know its a tough job, but you need iron thick skin. Try to convey this ability in a cover letter, especially if you can demonstrate it by using a statement of accomplishment. Sometimes this can be as simple as winning a customer service award for 100% positive calls handled in a month or quarter.